Since I have started my healthy eating regimen, I have been constantly tempted by my evil nemesis-fat. Despite not giving in, I almost dream about it in my sleep. The craving goes away, but it always comes back. I will indulge a little bit so I don't binge later, but It is really nice to have ready to eat sweet snacks on hand that are anything but fatty and full of calories. Brothers all Natural Fruit Crisps have become that quick go to when I need something to curb the craving and fast. 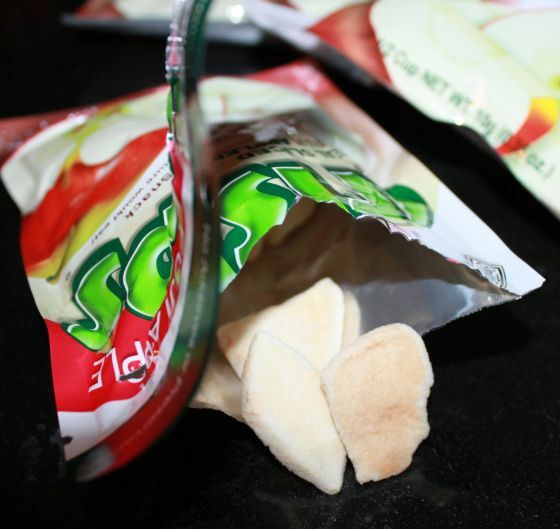 Brothers All Natural Fruit Crisps are made of ...well, themselves. They are nothing, but freeze dried fruit. There are no preservatives or any added ingredients. 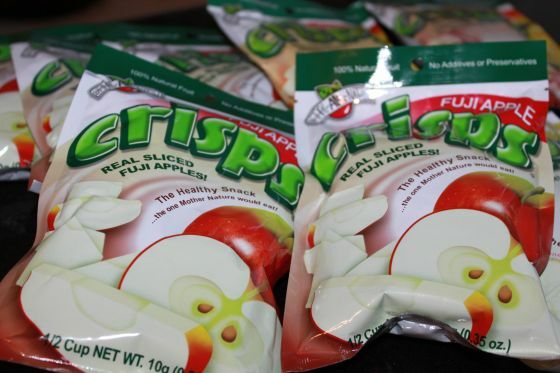 Just pure natural, fruits crisps freeze dried through a process that keeps the nutrients in tact. Brothers All Natural comes in many other fruits and really need to get my hands on the mixed berries and orange citrus fruits. I've tried these in so many things since discovering them. They go great in yogurt, ice cream, even salads. Anything that fresh fruit will go with, these will. They have a really airy texture and just melt in your mouth. Akin to cheese puffs, only fruit puffs. They are conveniently portion controlled containing no more than the equivalent of 1.5 pieces of fruit. I love this because it's perfect for a midday snack that you don't have to count the calories of when you are watching your weight. Look at how little the calorie content is. All the carbs and sugars are naturally occuring. Nothing added. Those sugars will not spike your glucose levels! The next time you feel sweet cravings, why not try this healthier alternative? You will love it! If you'd like to learn more, visit their Facebook and Twitter.